So you want to start a blog, right? But what will you write about? That’s the first thing you need to decide. That’s the most critical question newbie bloggers face when they come up with the idea of starting a blog. Of course, you have rights to share your thoughts or ideas, and you can write about almost anything that comes to your mind. So why do you even need to decide on a blogging niche? Before I explain that, let me explain what the heck is “Blogging Niche”? What is a Blogging Niche? So Why does Even it Matter to Choose a Blogging Niche? 2.1 How can you brainstorm blogging niche ideas? 2.2 What are the traditional ways of brainstorming blogging niche ideas? 2.3 What are the modern ways of brainstorming blogging niche ideas? How to do Keyword Research for Profitable Blogging Niche? How do you find affiliate products to promote in your niche? 7.1 Are You Passionate Enough to Keep Writing Even if You Don’t Get Paid for a few Months? 7.2 Are there Research Papers or Study Materials Available related to this Blogging Niche? 7.3 Can I Make Money from This Blog Niche? 7.4 Is There a Room for Your Own Product? Niche blogging is the act of creating a blog with the intent of using it to market to a particular niche market. A blogging niche is basically the category of topics you’ll be writing about on your blog. But one common mistake that I often see many new bloggers making is: they start writing about whatever comes to their mind. For example, one of my friends started writing about smartphones, the next day I noticed that he started writing about health and fitness, and then the next day about politics, and again the other day about finance. That’s how he messed up his blog. He failed in choosing a particular blogging niche. The best thing you can do to succeed in blogging is: choose a particular niche and stick to that blogging niche. Just because you can write about almost anything, you shouldn’t write about anything that comes to your mind. But why I’m saying this? Is there any law on the internet that you’ll be caught and prisoned if you write about everything? No! There isn’t any such law. It’s because your readers are not guaranteed to be interested in all the topics you’ll be writing. Usually, every person has one or two primary topics of interest. If you serve them with information around those topics of their interest, they’ll love your blog and are more likely to become a loyal audience. However, if you bombard them with multiple topics and some of those topics are not of their interest, they are more likely to go away and find some other blogs which only publishes topics of their interest. If I write about only one topics, I’ll only attract audience that have interest in that topics, however, if I write about multiple topics, I have more chances of attracting audiences from various topics of interest. By sticking to a particular blogging niche, don’t we limit our potential? The answer is YES, and NO! In some cases, I have seen people succeeding with a more scattered approach – writing about various topics. Think about media agencies or new websites. They cover everything! But of course, they do have a team of writers and journalists, with each journalist having expertise in a particular field. When you are starting a blog, it’s unlikely that you have a huge budget to hire a team. And if you do it all alone, you can’t make yourself expert in every niche. It’s easier to become an expert in a particular field when you narrow down your field of expertise. While if you chase everything, you’ll find it tough to become an expert. And your audience wants to listen from an expert, rather than just a random person who writes about anything. Also, it’s easier to build an audience or fan following when you are an expert in any niche. And, above all these, what I have noticed from various experiments I ran over the years of blogging is: when you narrow down your blogging niche, you also get some SEO advantage. How do you narrow down your blogging niche and how do you broaden up your blogging niche? What’s the right approach? If you go from left to right, what you’ll notice is: the niche is being broadened up. Although a blogging niche basically serves to a subset of broader niche and even you get some SEO advantage with narrowing down your blogging niche, yet it’s a wise idea to have room for broadening up your blogging niche later. So the right approach is: start with a small blogging niche and stick to it. If you ever got an idea of broadening it up, you can do as well later. But start with a small niche and broaden up your blogging niche as the time goes. That way you’ll be able to establish yourself as an expert on the small niche first, and once you become expert in that niche, simply broaden up your niche and expertise. Keep repeating this process and soon you’ll be able to build a profitable blog with worth more than a million dollar. In the above example, you can start writing about apps, write everything related to Android apps. Once you established your blog as a trusted source in apps niche, broaden up your niche to something related, say Android. Now write about everything related to Android, that includes Android apps, Android security, Android How-to tutorials, Android games, etc. Again, once you are able to establish your blog as a trusted source in Android niche, broaden up your blog niche to the mobile operating system which includes, iOS as well. Now you have more topics to explore like, iPhone apps, iPhone how-to tutorials, iPhone games, iPhone security etc. And once you establish yourself as a trusted source and authority blog in these, broaden up your niche to Operating System which includes not just the mobile operating system but also the desktop operating systems like MacOS, Windows OS, Linux OS etc. You can repeat the same process and you’ll soon be able to create a profitable blogging niche worth a million dollar. That’s the right approach to profitable blogging niche selection for tech blogging. But you are not limited to tech only. What you just noticed is: Within a few minutes, I came up with many blogging niche ideas and also showed you a map to broaden up your blogging niche. But how did I found all these profitable blogging niches? I’m able to find because of years of expertise. But you don’t need to be an expert to find profitable blogging niches. In this ultimate guide to profitable niche selection for beginners, I’ll help you find your profitable blogging niche step by step. If you ask me what’s that one thing which is common in all blogs that make a ton of money? It is the selection of profitable blogging niche. Most people fail at choosing a blogging niche which is profitable. With lack of know-how and expertise, they end up selecting an average niche which is not so profitable. And later, they end up regretting. Choosing a profitable blogging niche is the key to creating a profitable blog that makes a ton of money. You need to choose a profitable niche, choose and target the right audience, and serve or educate them with the right information. And in the process of educating them, choose and promote the right and profitable product – that’s how smart bloggers make a ton of money. If you are completely new to blogging niche selection and struggling to choose a profitable blog niche, I’m here to guide you with step by step ultimate niche selection tutorial to find a profitable blogging niche. If you are starting a blog, it’s all about your knowledge, skills, and how you share your knowledge and educate your audience. So you need to be passionate about things you’ll be writing. If you choose a blogging niche that you are not passionate about, you might start but won’t get to the finish line. You would end up quitting within a few weeks. So it’s very crucial to choose a blogging niche that you are passionate about. If you are passionate about something, you won’t be working like “hard-working 9 to 5 Job”, instead, you’ll be enjoying your work. Although Blogging is not a fun, and some days people end up blogging for many hours until late nights, yet you’ll have to find fun in Blogging. But how do you find doing something fun? Be passionate about your work and your work becomes a fun. That’s how you’ll get that energy and enthusiasm for working countless hours even when things not going your way. Blogging is not a “get rich quick” scheme, it takes time, commitment, hard work, and dedication with proper strategies to earn money from a blog. Ask yourself, if this the blogging niche you’ll be writing about even if you won’t get paid for 1 year? If your answer is yes, that’s a good niche for you. But every blogging niche that is good for you, can’t be a profitable blogging niche as well. So you have to find a perfect balance between passion, knowledge, and profitability. Now that you know what you are passionate about, it’s time to brainstorm ideas about your passion. And once you find a list of brainstormed blogging niche ideas, you can proceed to find the profitable one. Although, these are good ways to brainstorm ideas and most of the times a million dollar business idea comes to my mind when I’m traveling or taking shower in the bathroom. However, I’m a big fan of tools, because tools make our lives easier. There are some amazing tools to help you brainstorm blogging niche ideas. 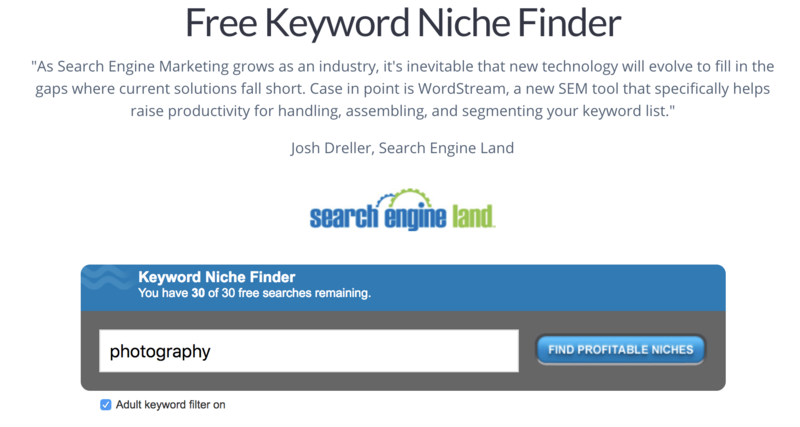 One such free online niche research tool is Wordstream’s Keyword Niche Finder. It gives you 30 FREE searches which are enough to get started with keyword niche finding process. 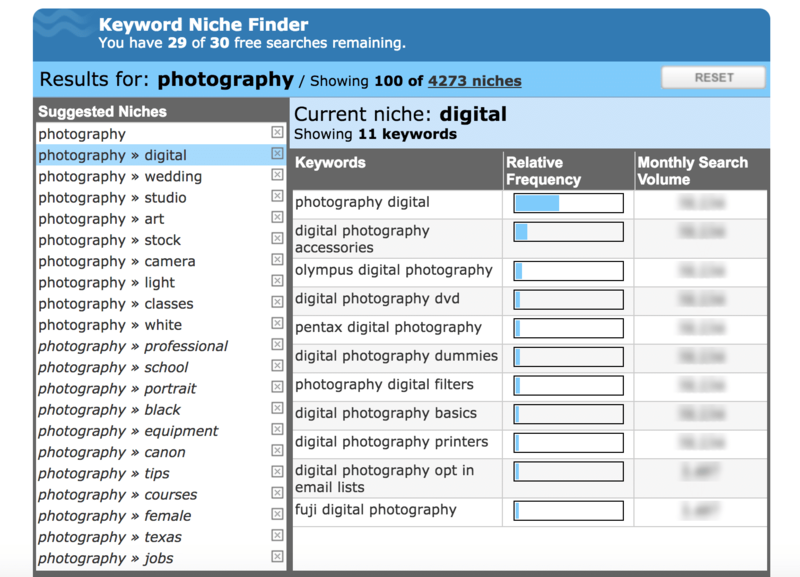 Simply type one of the topics of your interest and click on the “Find Profitable Niches” button next to it. This will present you with a bunch of blogging niche ideas. Explore each and get more ideas. Keep exploring the long tail variation until you found an excellent niche of your choice. But well, that’s how you brainstorm blogging niche ideas but your job is not over yet. You need to find out more keywords and determine it’s profitability. So keep reading! In the previous step, you learned how to brainstorm blogging niche ideas and you just came up with a bunch of blogging niche ideas. But you need to further explore these niches and find various keywords related to that niche. Keywords are basically searched terms that people are searching in the search engines like Google, Bing, etc. And once you are able to find these keywords, you’ll need to pick the most profitable keywords among them, so that you can start earning money from your blog in quick time. So how will you find these most profitable keywords that’ll make money for your blog? Keyword Research is the key to finding profitable keywords for blogging. Keyword Research or say, market research is the first step towards driving a ton of organic free search traffic from search engines like Google, Bing etc. and making a blog profitable. Now imagine, if you are able to find a golden keyword in your niche that has high search volume, high paying having good CPC (Cost Per Click), and easy to rank in search engines. What will happen next? You’ll be able to make a ton of money from your blog within no time (saying hypothetically). What I just said it imagination, but of course, it’s possible with proper keyword research. Keyword Research is the technical part of blogging and many people avoid it when starting out. But in my opinion, keyword research is the most crucial part of choosing a niche. If you do keyword research right, you’ll find it a lot easier to make your blog profitable. Even if you are a complete beginner and know nothing about keyword research, you don’t need to worry as I’ll teach you how to perform a keyword research step by step. For more than a decade, Google Keyword Planner has been the best free keyword research tool. It has been trusted by everyone to get keyword search volume and cost per click (CPC). But back in June 2016, Google started deleting all free accounts from Google Keyword Planner and now you need to have a paid Google AdWords account to access Google Keyword Planner. So, now the industry rely on premium keyword research tools like SEMRush, KWFinder, and LongTailPro etc. Go to SEMRush and type any keyword that you brainstormed in the previous step. 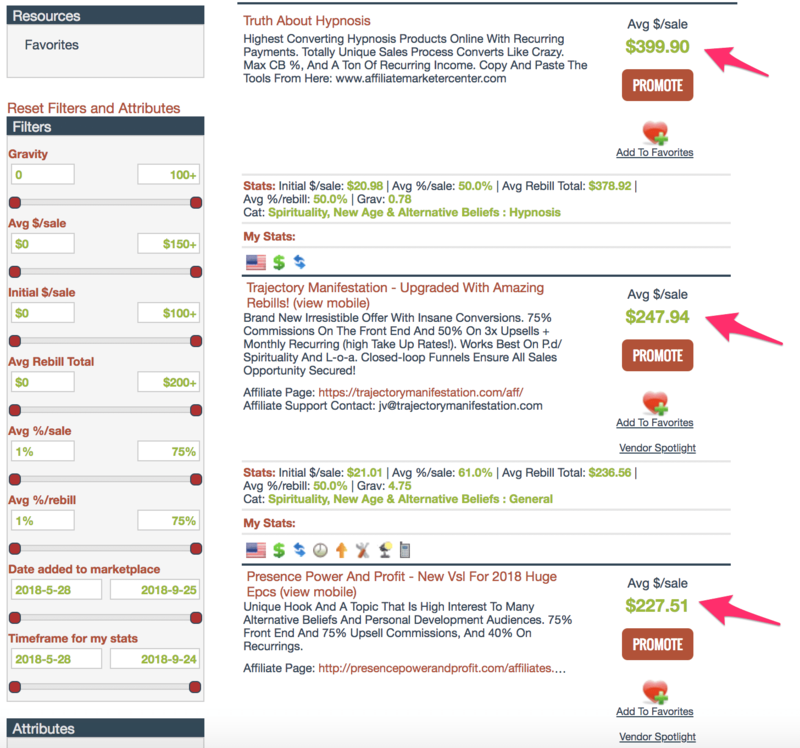 Pro Tip: You can register for a free SEMRush account, which comes with some restrictions, but it is enough for now. As you start typing, SEMRush will auto-suggest some keywords and URLs. As soon as you click the Start now button, SEMRush will present you with a bunch of keyword phrases along with various data like keyword trends, cost per click (CPC), search volume, etc. 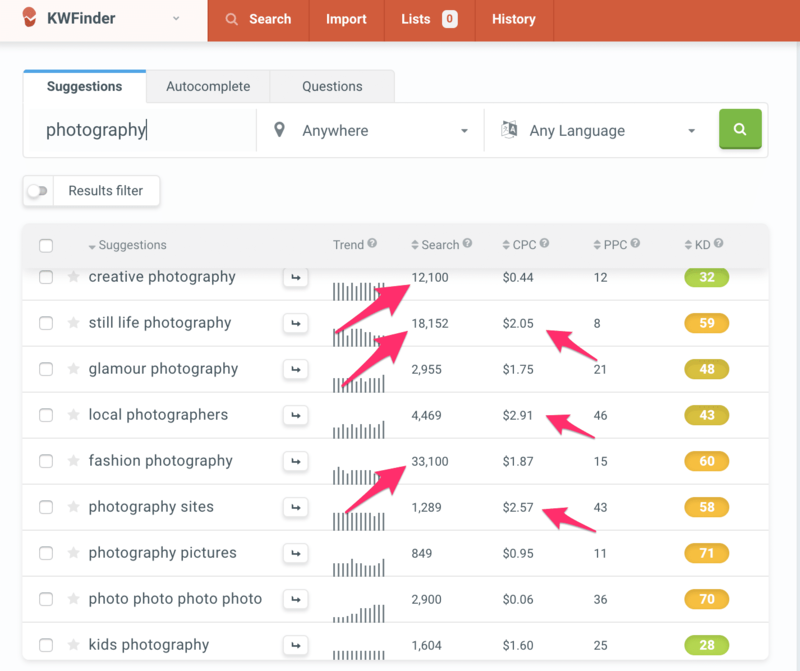 You can also filter keywords by desktop or mobile, their search volume for each country, and CPC distribution in each country. And once you click on view full report, you’ll get detailed information about keyword search volume data, CPC, keyword difficulty, competition, etc. 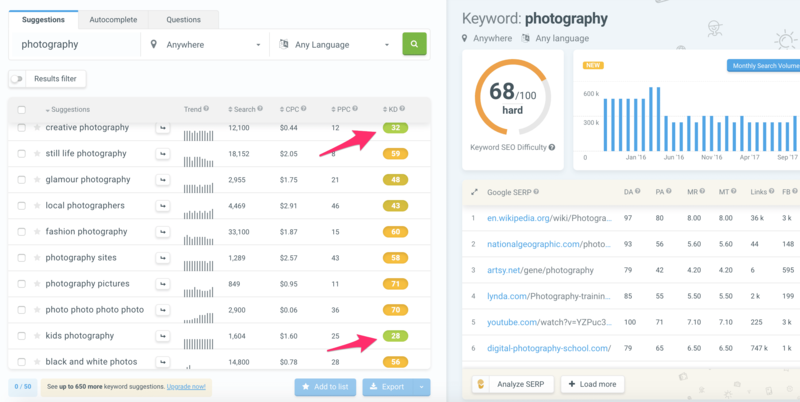 Lower the keyword difficulty (KD) easier it’ll be to rank for that keyword, and higher the cost per click (CPC), more money you’ll make in that niche. I’ll explain more about keyword difficulty and keyword competitiveness in the later part of this article. But for now, focus on two things: search volume and CPC. Search volume is the number of people search for that keyword phrase every month. However, cost per click determines how much money you’ll earn per click when a user clicks on ads (Google Ads) placed on your site. Most of these keywords have a good amount of search volume and high CPC as well, which indicates that it’s a profitable blogging niche. But, this data is coming from only one tool – SEMRush. We need to further check with other tools to confirm it’s authenticity. So if you are going to invest your time, money, and efforts on a blogging niche, you must not rely on only one tool to verify its profitability. Cross check with another tool like KWFinder, which is my go-to tool for keyword research. Go to KWFinder (register for a free account) and type the keyword you want to research and click on “Find Keywords“. Just like the previous tool, KWFinder will also present you with various keyword phrases, search volume data, keyword trend, and cost per click etc. But for now, we are only concerned about search volume and CPC. As you can see, there are many keywords with high monthly search volume and cost per click. So this confirms that this niche is a profitable niche for blogging. But how much profitable is this? Keep reading and you’ll come to know. When it comes to earning money from a blog, the Google AdSense program is the easiest solution. You create some high-quality articles, apply for Google AdSense program, after getting approval, you put Google ads code and then ads start showing on your blog. Now, you keep your focus on increasing traffic, as the traffic starts increasing, also money starts flowing. No headaches of finding sponsors, dealing with advertisers, etc. You just keep your focus on increasing traffic. It is certainly the easiest method to earn from your blog. But Google AdSense is not the only option to make your blog profitable. In fact, as a rule of thumb, you need to ensure that you don’t rely on only one method to earn money from your blog. You must choose a blogging niche that has diverse options for monetization. The more additional options you have, more profitable your blog niche will be. So, how do you find other monetization option for your blog? Affiliate Marketing is one of the most popular ways to make money from your blog and if you are not using affiliate marketing to earn extra bucks from your blog, you are leaving huge money on the table. Affiliate Marketing has such a huge monetization potential that many blogs completely rely on it and make millions of dollar promoting affiliate products. So what is affiliate marketing? If you are a complete beginner and don’t know about this term, here is a quick introduction to affiliate marketing. Affiliate marketing refers to promoting others products and earn a commission out of each sale you refer. You sign up for the affiliate program, you get approval and they provide you an affiliate tracking link. You paste it on your blog in articles, or as a banner. When you refer your blog readers to that product via your affiliate link, you readers make a purchase and you earn a commission on per sale basis. In affiliate marketing, you neither have to create your own product, nor you have to go through all the hassle of support and sales management. The product owner does everything, you just promote it, get people to buy it, and earn a good commission. There are many affiliate products in every blogging niche, you just have to find a profitable product to promote. Finding affiliate products to promote in any blogging niche is as simple as just performing a simple Google search. 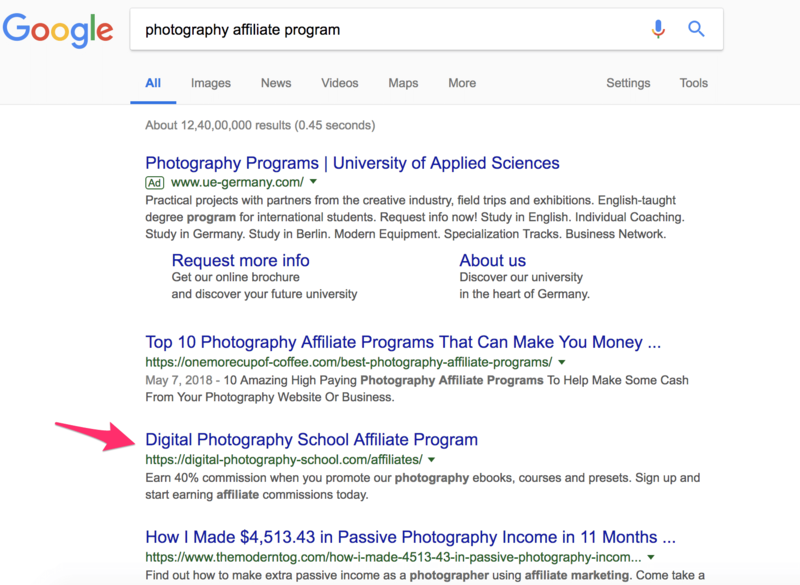 For example, if you looking for good affiliate products to promote in the photography niche, you can search for “photography + affiliate program” in Google. And this will present you with a bunch of options. Well, this is just an example, try searching for “your blogging niche + affiliate program” and you’ll be able to find many affiliate program related to your blogging niche. 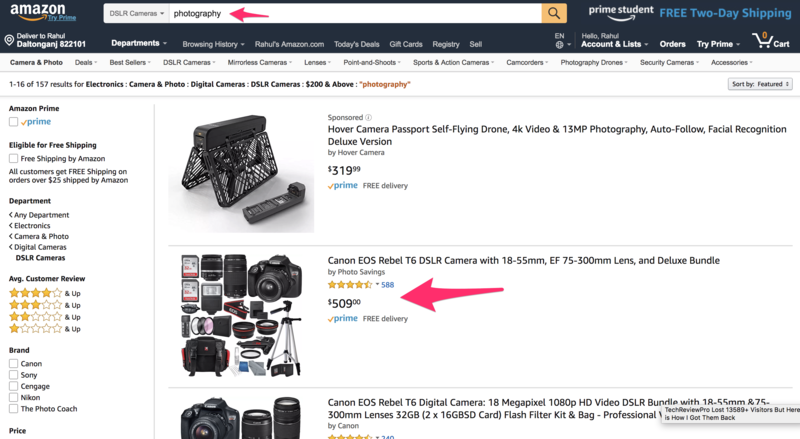 Just like Google, you can also perform a quick search on Amazon.com. Amazon is one of the largest online e-commerce websites where you can find almost any product. The arrow pointing from A to Z in Amazon logo has a hidden meaning, which says, Amazon sells everything – from A to Z. But what’s more cool thing about Amazon is that it has an affiliate program known as “AmazonAssociates”. You can sign up for amazon associates program and grab affiliate link for any product you want to promote on your blog. Go to Amazon and search for you blogging niche on Amazon and it’ll show you a bunch of products to promote. As you can see, there are many high paying products and equipment to promote in this blogging niche, which means this blogging niche has that additional monetization option to make extra bucks from affiliate sales. Similarly, there are many more dedicated affiliate marketplaces where you can find an affiliate program related to any blogging niche and join that affiliate program to promote affiliate products on your blog. One such affiliate marketplace is ShareASale. Sign Up for a free account and from the merchant search box, type anything related to your blogging niche and hit enter. You’ll get a list of various products you can promote. 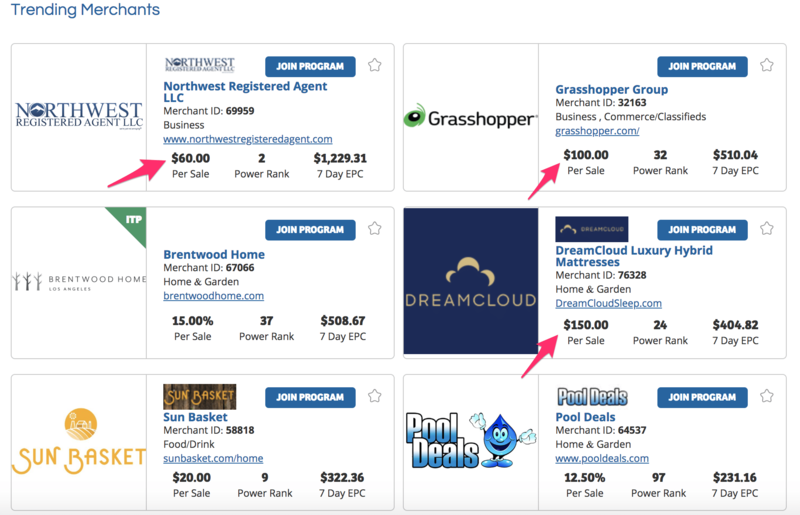 Take a look at these trending affiliate programs, which offer as high as $150 per sale. You can choose any product you would like to promote and click on “Join Program” to start promoting that affiliate product. And if you are really in some weird niche, and still can’t find high paying affiliate programs in your blogging niche, Clickbank will surely have a product worth promoting. Go to Clickbank.com and sign up for a free account. Once you have signed up, go to the marketplace and look for a category that your blogging niche belongs to, there are a large number of categories available on Clickbank to choose from. 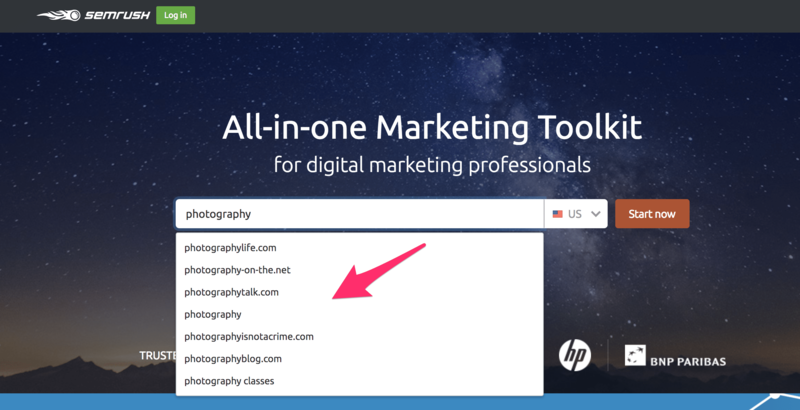 You can also search for your blogging niche in the search box and hit enter. You’ll get a bunch of high paying affiliate products to promote on your blog, thus making your blogging niche even more profitable. So that’s how you can find affiliate products to promote in any blogging niche and make your blogging niche even more profitable. But affiliate marketing is not the only way to make your blogging niche profitable. There are more options like sponsored review opportunities, selling your own products or services, and many more. However, since you are just starting out, I’ll recommend you to start with 2 ways – Google Ads and Affiliate Products. And once you gain some expertise, create your own courses, training, or products and sell it to earn even more extra income. Now that you found a blogging niche idea, how many people are searching for keywords in your niche, are there any affiliate products to promote in your blogging niche etc. it’s time to analyze the competition. By analyzing competition, I mean to find out whether it would be easier to rank for keywords in this blogging niche or not. I usually see many new bloggers making this mistake as they choose any blogging niche without analyzing the competition. One of my friends started a tech blog and started writing tech news. While there is nothing wrong with writing tech news, but when you are doing so, you are more likely to compete with big NEWS media or magazine publications with a ton of authority and a huge budget. So you are making it tough for yourself. He tried everything he could but couldn’t make his blog successful and finally, a few months later, he ended up quitting. I don’t want you to be like him. So analyze your competition before choosing a blog niche. If a blogging niche has a bunch of keywords that are easier to rank, jump into this blogging niche. If it hasn’t many easy keywords, avoid such blogging niches. But how do you analyze competition for certain keywords in any blogging niche? Simply check for the keyword in Google search and check if there are already many big authority sites and brands are ranking in Google? As you can see, there are already news websites and large media publishers are ranking in Google for this term, it’s a very competitive term. Although it’s not impossible to outrank them, I have already done it multiple times and with proper strategy and smart work, you can do that as well. 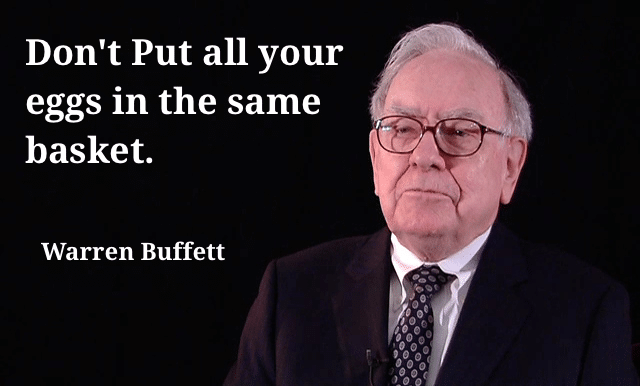 But, it’s always a wise idea to work in a less competitive niche so that you can save time as well as money. 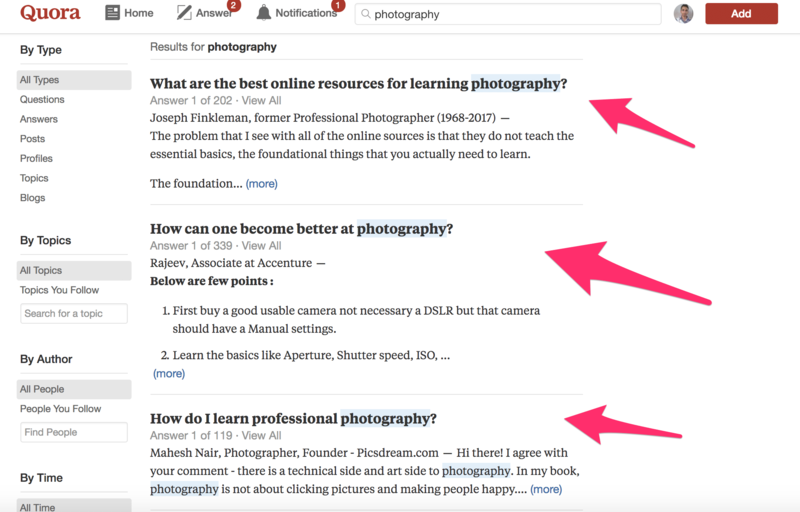 How do you find easy keywords to rank for in any blogging niche? Simply, go to KWFinder, type your keyword and click on Find Keywords button. It’ll present you with various data related to that keyword group. I have already discussed it in the earlier part of this article. But now we are more concerned about keyword SEO difficulty which is an SEO based metrics that says how difficult a keyword is. 0-9: Effortless, very easy to rank, there is no competition, you can rank it very easily. 10-19: Go for it, easy to rank, there is very less competition, you can easily rank it. 20-29: Easy, still easy to rank, there is less competition, you can rank it, although not easily. 30-39: Still Easy, now things becoming are not so easy but you can rank it with some efforts. 40-54: Possible, not easy to rank, but with a proper strategy and efforts you can still rank. 55-74: Hard, tough to rank, you’ll have to work hard to rank it. 75-89: Very Hard, avoid it, you’ll have to work very hard to rank it. 90-100: Don’t do it, it’s very tough, don’t go for these keywords as it’s less likely that you’ll be able to rank it anytime soon. Since you are just starting a new blog, and don’t have much SEO skills, what I would suggest is: go for only those keywords which have SEO difficulty score of 29 or less. And once you are able to rank for these easy keywords, proceed to higher difficulty keywords. If you work on my suggestions, that way you’ll be working strategically and get quick results rather than working without strategy and wasting lots of time with no results. If you are able to find many such easy to rank keywords in your niche, that confirms your niche is less competitive and this is a green signal which says you have chosen an excellent blogging niche. However, if you can’t see many easy keywords in your niche, chances are you have selected a competitive niche and you need to do your research again to find an easier blogging niche. Now that you know how to analyze competition in your blogging niche, it’s time to find opportunities for your blog content promotion. When you are starting a new blog, don’t expect to get a ton of blog traffic from search engines, rather you need to find other platforms to promote your blog content. When you are starting, the only way to drive free traffic is referral traffic from social platforms and other places where your target audience is. Although there is a way to drive referral traffic to almost every blogging niches, yet it’s a wise idea to find the right audience and serve your content to them. How can you find the right audience to promote your blog content? Go to forums, Question and Answer communities, and social media groups etc. 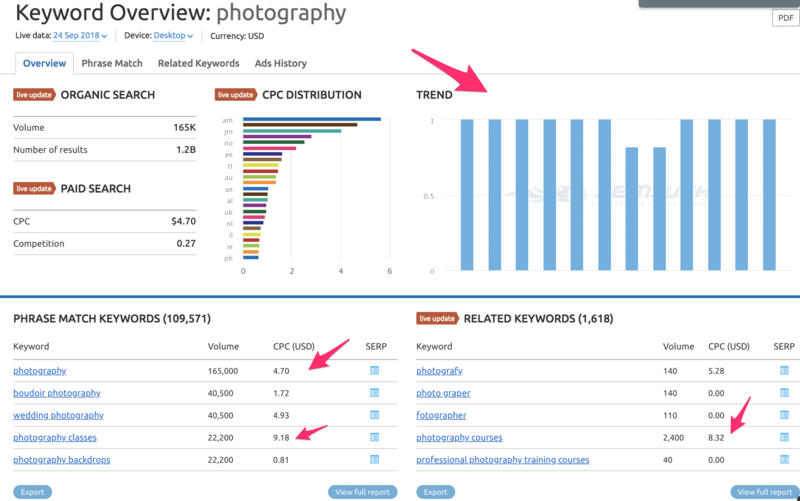 and search for any keyword related to your blogging niche. Quora.com is one such question and answer community. If you can see many people asking questions related to it, you know you have found a jackpot. Because these people are your target audience. You can create a high-quality blog post regarding their concern and help them with quality information. Over the years, I have analyzed that when I find the right audience and create something amazing to help them solve their problems, those people themselves promote my content. This brings a ton of free traffic to my blogs without me having to actively promote it everywhere. Now that you know my secret strategy to find your target audiences and promote your blog content, choose your blogging niche accordingly. If you can find a good potential to build an audience without having to rely on one source of traffic, it’s a nice blogging niche to be in. By now, you’ll have your target blogging niche ready and you must be excited to start your successful blogging journey. But wait, you need to validate your niche profitability and all the research you performed. Simply go to Google and search for your blogging niche. 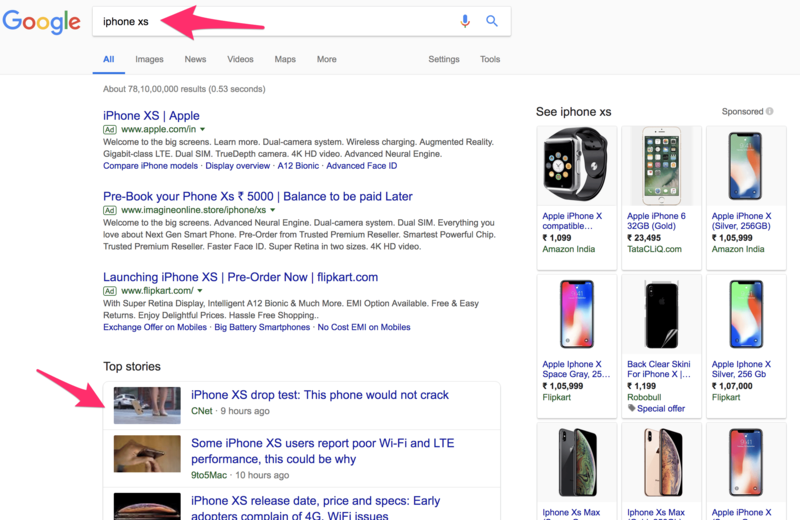 You’ll find a list of search results along with some ads on the top. 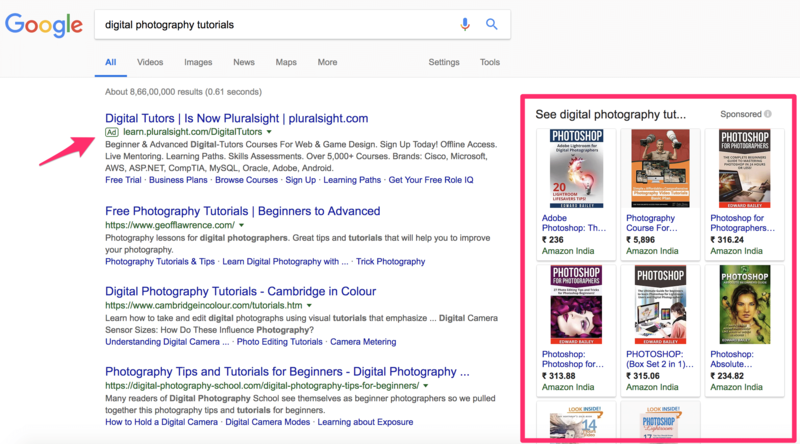 As you can see, there are already a bunch of ads and sponsored results appearing in Google, which means advertisers are actively paying Google to promote their products. This confirms that it’s easy to attract advertisers in this blogging niche and it’s a profitable blogging niche. Now, you have validated the profitability and success of your blogging niche, but further you need to ask few more questions from yourself to validate that your chosen blogging niche is profitable and more importantly, the perfect blogging niche for you. Even if you do everything right, there are few scenarios when things don’t go your way. You need to ask these critical questions from yourself to determine whether or not it’s the perfect blogging niche for you. Remember my friend who quit blogging after a few months? He did so because he was more passionate about earning money than writing. Even though he was in a difficult niche, he could have succeeded if had continued with proper strategy and hard work. But he didn’t. One reason for this is: he wasn’t passionate about what he was doing. If you only focus on blogging niche profitability and not your passion, you’ll lose your interest in that blogging niche and end up quitting sooner or later. Also, blogging is not a get rich quick scheme, it takes time to start earning from a blog. Ask yourself if you are passionate enough to keep working on this blogging niche even if you don’t get paid a few months from now? If your answer is “No”, despite being profitable, this niche is not perfect for you. Learn to value your passion more than money. If you follow your passion with the right approach, your passional becomes a profession. That is when money starts flowing in your path. Once I found a golden niche with no competition. This was completely untapped niche and there wasn’t any blog, website, or whatsoever on the internet about blogging niche. I jumped into that niche with all excitement and created a micro-niche blog. When I started content creation, I couldn’t find any research paper, study materials, or anything related to the topic I was writing about. This was the toughest content writing ever I did and it took me several days to write a few articles in that niche. Although Wikipedia had a very small article introducing that topic, that wasn’t helpful either. And the fun part: when I wrote a detailed article with better content, I was able to rank above Wikipedia and later they ended up referencing my article rewarding me a very high-quality backlink. It’s not impossible to create content without any research papers, study materials, blogs etc. but you certainly don’t want to waste lots of hours in the content creation. So always check for availability of other blogs, forums etc. in that niche (just for reference) before you create a blog in any niche. Having a strategy based on research is one thing, and implementing it to make it happen is another thing. For example, to sell any product on your blog, you need to master sales-worthy copywriting. Ask yourself, will you be able to write product reviews that are sales worthy? If yes, proceed with the niche with the focus on selling affiliate products. However, if your answer is no, you need to decide your money making strategy accordingly and choose a blogging niche that suits your writing style. Putting ads on your blog is the easiest way to start earning from your blog but at the same time, it’s the least profitable way to earn. If you promote affiliate products, you can double up your blog earning. But if you want to 10x your blog income, you should consider creating and selling your own products. However, in some blogging niche, there is hardly any room for creating and selling your own products. Ask yourself if there is a way to create your own product and sell it? If your answer is yes, this is the perfect blogging niche to be in. When you are a complete beginner, it’s pretty common to make mistakes in choosing a perfect blogging niche, but having a right blogging niche is very crucial. If you choose a blogging niche that you are not passionate about, you’ll hardly enjoy working on that niche. If you choose a blogging niche that is not profitable, you’ll find it hard to earn good amount of money. Similarly, select a blogging niche that is too broad and you’ll keep struggling forever in find right audience. Select a blogging niche that is too narrow, you’ll find it hard to bring a good amount of traffic. So it’s always recommended to find the right balance of everything. That is why I created this detailed guide to help you learn to choose the perfect blogging niche that is also profitable. With the step by step to the blogging niche selection process, you’ve already mastered the art of profitable niche selection. And when you put the right step forward, it becomes easier to excel. That’s what I desperately want for your success. So what are your thoughts? Do you have any question or query? Let me know in the comments below and I’ll be happy to help. At the tender age of 18, Rahul Dubey has built his own 6-figure online business blogs. Rahul helps bloggers and digital marketers excel online with his free digital marketing tutorials, online courses, and resources. You may learn traffic building tips, SEO secrets, and how to make a profitable online presence on his personal blog LearnDigitalwithRahul.com. How Pro Bloggers Make Money Blogging and How You can too? Rahul Dubey is a 21 years old, Google-Certified Digital Marketer, Blogger, Affiliate Marketer, YouTuber, and Tech Enthusiast. You can read more about Rahul here. Rahul helps people grow their businesses with the power of digital marketing. Start a Blog today and take your business to the next level. According to our Disclosure Policy, the site contains some affiliate links for products. We get a small commission when you purchase following the link. But our recommendation is always based on the merit of the products and not influenced by other factors. Want to Create A Profitable Blog that Generates Passive Income​? Join 7-Days FREE Email Series and Discover How to Create a Profitable Blog, in Just 7 Days.